Manali Offer best experience in all season for travelers. While everyone love the Snow fall of Manali and most popular time to visit is winter. However, Manali is not just about snow there is lot of things one can do and many places can be visited within the trip. Here is summary of all the 25 Most popular Place in Manali and nearby area everyone must visit. The Location and place information is for knowledge only and one can choose as per there preferences where they want to go and which one to avoid. Manali is culture rich tourist destination with warm many types of accommodation available and travel in Manali by Car from Delhi is one of the most popular way to be there. , Club House: It’s time for some adventure! Solang valley is one of the first place everyone visit manali going and hence this is one of the most popular destination within the Manali area. Solang valley Situated on the way to Rohtang pass Huge number of visitor going there each year on both winter and summer. 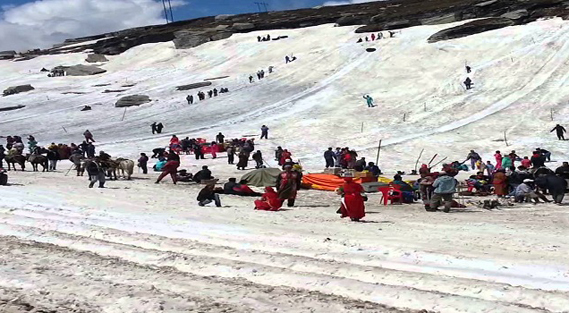 In Solang pass you can engage yourself with Parachuting, paragliding, horse riding to driving mini open jeeps especially available for tourists of all age groups, Solang has it all. During winters, as the valley is covered with snow, skiing is a popular sport here, with training institutes and trainers located in the valley to supervise skiers and train beginners. As the snow melts, skiing is taken over by zorbing. Another popular attraction of the valley, taking advantage of the slopes of the valley, you are likely to spot a huge transparent ball with mostly two people inside it rolling down the slope during summers, it is as much fun as it looks like. One of the most vibrant and enjoyable places in Manali, there is no way one can possibly miss this valley, while here. Solang can be visited as a part of your trip to Manali, or one could head to enjoy the valley specifically, for a few days. If you are focusing on Manali then a day trip to Solang would suffice, a day spent in the valley would be totally jam packed with adventure sports back to back depending on your choice. The spot is named after a road worker who died under tragic circumstances here during the construction of the road. During summer it abounds in variety of flowers and herbal plants. Its natural beauty is seen to believed. From here, ascent to the great Pass starts. The view of the majestic snow capped mountains, the swirling Beas River and the small grasslands simply add charm to the area. Named after Raja Gulab Singh of Kashmir who camped here whilst invading China through this area, Gulaba is slowly gaining popularity. The road to Gulaba opens only during the summer months. During winter, you can hire a mountain bike and give this spot a dekko. The Hadimba temple was built in 1553, but the legend of this place dates back to the Hindu epic Mahabharata. The temple is constructed over a huge rock which is worshipped as a representation of Hidimba. The architecture of this temple is also unusual. Hadimba temple, away from the hustle and bustle of city life, is a peaceful place surrounded by towering deodar trees. The temple is dedicated to Hidimba, the wife of Bhima, one of the five Pandava prince from the great Indian epic Mahabharata. The main attraction of the temple is the three day Hidimba Devi Festival, which attracts devotees from all over the world and features colourful folk dance performances. If you are looking to embark on a trek to one of the most remote and untouched places to visit in Manali, then Jogni also called as Jugni Waterfalls is the best place to be. Located at an easy distance of about 3km from the main market of Manali, it can be reached directly by a vehicle. As soon as you park at the base of the falls, you will see the beautiful natural scenery that encircles the entire falls area. The trek route passes through narrow paths and is breathtakingly beautiful as it traverses orchards, pine forests and several small streams. Al through the way, you can see the peaks at Rohtang Pass and the gush of the Beas River flowing by. The trek to the top of the Jogni waterfalls lasts for about 20 minutes and will expose you to some of the most serene beauties of nature. Try to make it in the afternoon when the sunlight catches droplets of the waterfall. Manikaran is a small town situated between rivers Parvati and Beas, famous for its hot water springs and beautiful landscapes. The town has a famous Gurudwara called Manikaran Sahib and it is frequented by Sikhs from all over the country. There are many small temples in the town as well making it a significant pilgrimage centre for Hindus too. The Gurudwara is believed to be sacred by the Sikhs and the Hindus, each having their own reasons behind their beliefs. According to Sikhs, Guru Nanak Ji performed several miracles here and Hindus believe that Lord Shiva and Goddess Parvati stayed here for almost 1100 years. This Gurudwara is also mentioned in the 'Twelfth Guru Khalsa' by Giani Gian Sikh which makes it more pure and significant for its disciples. There are three hot springs where one can take a bath, one being inside the Gurudwara itself and the other two being privatised by the guesthouses. The Tibetan monastery is one of the major tourist spot in Manali and is famous for weaving different and colourfull carpets. ResidentsTibetan Monastery and immigrants of Tibet produce handmade handicrafts to attract the various tourists. Tibetan Monastery is one of the oldest and famous place in Manali. Due to huge number of tibetan peoples settled in Kullu Manali Tibetan Monasteries has been set up. The main attraction of the monastery is the handicrafts of Tibetan artistry and the carpets that are woven and sold in the monastery. The Gadhan Thekchoking Gompa in Manali was constructed in the year 1969. The architecture of the monastery represents the Tibetan style of architecture designed with hued frescoes. The statue of the Lord Buddha presides in the monastery. The Gadhan Thekchoking Gompa is situated near the Mall in Manali. The monastery is run by the local people who gather funds through donations. The aromatic fragrance of the Tibetan incense sticks that are lit in the Tibetan Monasteries of Manali lays an enchanting charm on the tourists and lures them to visit the monastery again. The Tibetan monasteries at Manali are one of the main Manali tourist attraction and features chiefly as an important pilgrim itinerary on a tour of Manali. Lamas are trained as preachers and performers of religious rites in the monastery. The monastery also runs a Thanka school of arts and a carpet-weaving centre. While most temples will leave you spiritually rejuvenated, there are a few where you can take a dip into hot water springs and baths, which leave you refreshed and maybe even healthier. Situated 6 km away from Manali, these are natural hot springs accompanied by beautiful sandstone temples. The government has made arrangements for separate bathing areas for men and women. The water in these natural springs contains medicinal properties that are believed to cure skin diseases. This area is surrounded by hundreds of small shops from where you can buy souvenirs and religious merchandise. Adorned with sky touching deodar trees and laid by a dense carpet of vivid shades of green, the Van Vihar is a haven for nature lovers and avifauna enthusiasts. Manali is a city famous for its unparalleled scenic beauty, and this site stands as a testimony to the city's stellar reputation. The Van Vihar National Park is a park run and maintained by the municipal corporation of the city. This beautiful garden is a popular and frequently visited destination for children and adults alike. The favourite attraction of this park is a sparkling man-made lake that rests in the middle of the lush green landscape and brings the entire vicinity to life! Boating on the placid waters of this lake and witnessing the mesmerising allure of the towering deodar trees will instil a beautiful sense of calm within you. The faint chirp of the beetles and the hypnotic bird song makes the perfect background music when you are looking to break free from the shackles of our fast-paced city lives. Enjoy the panoramic view of the sunset as it hides behind the lofty Himalayan ranges. Be sure to take advantage of the scenic photo op and capture beautiful memories in the backdrop of Van Vihar's picturesque environs. Also known as the ‘Pool of Gods’, Bhrigu Lake is a majestic an picturesque water body that is located at a distance of about 43km from the town of Manali. Each year, the lake attracts thousands of trekkers and visitors who come here to appreciate the serene, crystal clear blue pools of the lake as a part of their itinerary to visit Manali tourist places. Rising to a height of about 14,100ft it is located on the eastern courses of the Rohtang Pass. One of the many glacial lakes of the Kullu Valley, it makes up for being a perfect weekend outing on your next trip to Manali. The lake is bordered by snowy peaks of the Himalayas on all sides and is a moderate to difficult trekking escapade. Also nearby is the Nehru Kund, which is a natural water spring that is fed by the waters of the Bhrigu Lake and is truly picturesque. The trekking route to Bhrigu Lake starts either at the village of Gulaba or Vasishth Temple, either ways it perches you up at a height of almost 14000ft right on the second day, making it one of the most captivating treks of the Pir Panjal Ranges. Locals of the village believe that this lake has been blessed by the sages and Gods which is why, it never freezes over completely even in the times of harsh winters. Walk along the banks of River Beas for 8 kms on a level ground while passing through the thick cover of oak, fir and walnuts which ultimately leads to Dhundhi. While on the way, you will also encounter the glimpse of Deo Tibba and Indrasan Peak. As you are crossing Dhundhi you also get a chance to witness the mighty Hanuman Tibba (5990 m). Soon you will cross a small bridge to arrive at the campsite, Bakerthach. Rest for the day and cherish the beauty all around you. The second of the trek begins with the climb towards Beas Kund, the trail passing through boulders and rocks fro few minutes. Soon you will be near your destination of a tiny lake, Beas Kund considered to be the source of River Beas. Beas Kund is popular for tracking and Camping. Since you are on a trekking trip, you will be carrying your own camping tents. Recommended to Carry your own water during the trek. However, you might have the opportunity to refill your water stock. Chandratal Baralacha is a perfect trek destination steeped with all the right elements such as nature's beauty, enough challenges to be thrilling and tranquility. Perched at an altitude of 4,300 meters, it is one of the high altitude lakes in Himalayan region. Located on the Samudra Plateau of Spiti Valley, the most delightful sight of sunset gleaming upon the turquoise waters of the lake, pristine landscape, mountain passes, several gushing streams, verdant meadows, the gush of colourful orchards and exotic wildlife make this trip an unforgotten experience to cherish forever. The lake also serves as the source of Chandra River, which is a major tributary of River Chenab. The second part of the trek, Baralacha nestled at 4,890 m above the sea level, is situated on the Leh-Manali Highway. This pass, connecting the Spiti, Ladakh, Zanskar and Lahaul Regions, is one of the high altitude motorable passes. The trail it passes through is quite enticing comprising of varied terrains, from lush green valleys and dense cover of forests of Kullu valley to barren lands of Spiti and tiny quaint villages dwelling various sects of Indo-Tibetans. Offering surprises at almost every nook and corner, Chandratal Baralacha Trek serves as one of the popular alpine treks in Himachal Pradesh, which is a paradise for trekkers, photographers and nature buffs. A visit to Manali is no doubt incomplete without a holiday at the Manali Sanctuary, which is an astounding and impressive wildlife sanctuary located in Himachal Pradesh in northern India. The wildlife sanctuary is at a walking distance from the main town and city centre of Manali and is the ideal spot to explore the rich flora and fauna that the place harbours. Other than opportunities of sighting a variety of these reptiles, birds, animals and mammals; the place also has ample options that will entice the adventurous and fun loving soul. These include the fabulous trekking routes and camping facilities. The Manali Wildlife Sanctuary is no doubt a paradise on Earth for all animal and nature lovers who flock here in large numbers to experience what this heaven feels like. It is thus strongly recommended that you visit the place at least once in your lifetime. The Manali Sanctuary commences from just behind the town and extends all the way up in the mountains behind the hill station. The Manali Wildlife Sanctuary was officially declared as a sanctuary in the year 1954 on 26 February, under the Punjab Birds and Wild Animals Protection Act of 1933. Spread over an area of just 31.80 square kilometres, the sanctuary, nevertheless, has everything that you would expect from a typical shelter. It is home to all kinds of species of flora and fauna: rare, endangered as well as common; such as the Himalayan Black Bear, Kashmir flying Squirrel, Himalayan Palm Civet, Himalayan Yellow-throated Marten, Barking Deer, Flying Fox, etc. About 5km from Manali, as you take the road that goes towards Naggar, you will arrive at this destination which is known as Arjun Gunfa. One of the offbeat places to visit in Manali, it is replete with thousands of years’ worth of legends, folklore and tales. The caves are situated on the left banks of the Beas River in a village called Prini. Legend has it that Arjuna from the epic of Mahabharata actually performed his penance here in order to attain greater dexterity to handle a weapon called Pashupati Astra. Religious beliefs notwithstanding, people from all over the world visit this captivating site in order to see its natural rock formations and beauty. Close to the Arjun Gunfa, you can also take an excursion up to visit the Kunt Bhayo Lake and the Kunto Matha Temple, each of which is beautiful in its own right. The caves offer uncharacteristic calmness, serenity and solitude away from the crowds at Manali. However, it is advised that you visit the caves under appropriate light conditions in the broad daylight. The newest addition to the list of National parks in India, The Great Himalayan National Park is quickly becoming what the wildlife scene in the region is being identified with and defined by. Yet, it manages to be a quiet and good break from the crowded places in the town. It is home to around 400 species of fauna, and the paths here are ideal for a quiet and peaceful trek. Camping inside the park is also equally enjoyable. Great Himalayan National Park, situated in Himachal Pradesh is spread over an area of 754 square kilometres at an altitude of between 1500 to 6000 m. This UNESCO World Heritage Site was established in 1984 and has four valleys named Sainj Valley, Tirthan Valley, Jiwa Nal Valley and Parvati Valley. They are all famous for their natural and scenic beauty. The Great Himalayan National Park is one of India's national parks, which is located in Kullu region of Himachal Pradesh. This beautiful location of the national park becomes all the more attractive due to the Deodar and Oak trees. Surrounded on all the three sides by the Himalayan Mountains, the park is home to diverse wildlife species. The Great Himalayan National Par received the status of a national park in 1999. At present, it is home to more than 375 species of fauna, 31 species of mammals and 181 species of birds. Hampta Pass, situated in the Manali region of the Himachal Pradesh, serves as one of the most convenient and enjoyable treks. Laden with pristine form of nature, the trail comprises of dense pine forests, pristine glacial valleys, vast meadows and panoramic landscape. A perfect trek for beginners, the place is easy to access and the adventurous experience of crossing the pass is simply exhilarating. Unlike most of the trek, this one begins from Manali town and not from a remote village. Chandratal, a crystal clear lake perched at high altitude is the highlight of the trip and a rare sight to behold. A trip of about 4-5 days, Hampta Pass trek in the lap of Himalayas is one of the exciting trips that will leave you in complete awe. This modest bit of paradise, with its share of snow and clouds is an ideal stretch for trekking and views to lose oneself in. At a flattering height of 3600 meters, nestled in the Parvati Valley, the Chandrakhani pass is a favorite for those who seek natural beauty as well as those in search of adventure with mountains and valleys in the backdrop. The Parvati valley, with all its beauty, makes for an amazing trek. The Chandrakhani Pass in the area is a popular base for trekking. The valley is narrow with steep mountains rising on both sides. The region is under police surveillance due to high prevalence of drugs and tourists wandering in search of drugs. Manu temple, a beautiful temple dedicated to Sage Manu, is located in the mesmerizing valley of Manali in Himachal Pradesh, India. The temple lies in the Beas River Valley, in Kullu District which is about 275 kilometres North of Shimla. The topographical features of the valley are inviting, and trekkers all over the world are drawn to Manali. It has been a tourist attraction for quite some years, and travellers wanting to come closer to the divine powers of Indian deities usually come here seeking peace and to be spiritually enlightened. As one explores the region, they are sure to notice the calmness around the beautiful temple structure. Absorb the tranquillity as you breathe in the fresh air and enjoy the pleasant greenery around. The Manu Temple is said to be the only temple dedicated to the King Manu who was later known as Sage Manu in India. Away from the hustle and bustle that the town of Manali holds, Old Manali is a backpacker's paradise. Lying at a distance of 3 kilometers uphill from the central city, Old Manali is often frequented by tourists from all across the world. Here you can sit back and relax in the lap of nature, away from the hullabaloo of city life. The serenity of Old Manali is perhaps unique. The swaying eucalyptus, gently winding roads, gushing waters of the Kullu river and beautiful hills of this destination make it the perfect natural retreat. Indulge in some delicious continental food at low prices here, and shop for knick-knacks from the local markets here. Bara Bangal Kaliyahni trek, also known as the Shepherds trail trek, takes you from the lush green Kullu valley to the stark landscapes of Bara Bhangal range. A trekker will cross the Kalihani Pass and move northwest before reaching Bara Bhangal. From here there is a turn southwards to Thamsar Pass and reach Billing in Kangra valley to finish the trek. In the end, one may paraglide to Bir if the trek didn?t offer them a high. Situated in the Naggar town amidst stunning hills, the Naggar castle is one of its most enduring monuments. Constructed of stone and wood, it as a beautiful combination of Indian and western sensibilities of architecture. The palace that once served as a residence to Raja Sidh Singh Kullu, ahas since served the purposes of being a rest house and is now heritage hotel that is managed by the Himachal Pradesh Tourism Development Corporation. Replete with cozy fireplaces, swirling staircases and captivating stone and woodwork that graces the outer façade. Inside, you can even appreciate the magnificent art of Roerich- the famous Russian painter who came to Manali. If you want to take back some souvenirs, you can fill up your bag with wall hangings, coasters, as well as the Roerich paintings. The castle provides awe inspiring views of the Kullu Valley and rests in peaceful reverie as the holy river of Beas flows merrily by. Cascading from a height of 8,500ft, the Rahalla or Rehala Falls as they are called as one of the most stunning natural places to visit in Manali. They are located at a distance of 16km from the town on the way to the Rohtang Pass and are must stop over on your way to visit this haven of snow. The falls are formed by glaciers as they melt on their way down from the mountains. It is one of the best places to enjoy photography or just sit peacefully by and admire the natural beauty. The more adventurous can go trekking up the mountains behind the waterfall cascades. The waterfalls are set amidst dense thickets of Deodar, birch and pine trees, making it one of the stunning places for photography. The sight of the place and the gentle rhythm of the falls gives instant peace and harmony to anybody who chooses to visit it. About 6km from the town of Pandoh is the stunning sight of the Pandoh Dam which provides a sight for the sore eyes. This is one of the best places to visit in Manali if you are looking to spend time in a virgin, unexplored place. The dam is built over the Beas River and lies in the Mandi district of Himachal Pradesh. It is a part of the hydroelectric energy generation project of India. The dam is surrounded by tall pine trees and the verdant green hills of the Himalayas. Although swimming and water activities are banned in the catchment areas, you can still enjoy the greenery and scenic beauty around the dam. The dam can be easily reached by road as a rough road leads right up to the dam. However, prior permission from authorities is required to visit the dam. The place is ideal for weekend treks, picnics, and a day outing. There is also a small island in the middle of the lake which is perfect for just relaxing with the sight of cool water all around you! The dam is especially suited for the click happy photo lovers out there who want to catch a sight of nature in all its glory. The sight of the blue and green water reservoir surely makes up for some great shots. One of the oldest and best known cafes in Old Manali, Café 1947 was its first music café. Resting easily on the banks of the gushing waters of Manalsu River, it is a quaint albeit a highly recommended and a beautiful place to satisfy your taste buds. On any given day, it is not uncommon to see a live music jam happening at one of the booths at the same time as the patrons enjoy the delicious servings of world, Indian and European cuisine. Get your favorite book and relish the stories with some ginger or lemon tea in your hands. The café also hosts quite a few live gigs at regular intervals. An ancient village lying to the northeast of the Kullu valley, Malana has always intrigued visitors from all over the world to explore its unique culture and get to know more about its lifestyle and is a common destination on places to see in Malana and around. Isolated from the outside world in the truest sense of the word, it is a place that has retained ancient values and is one of the oldest democracies in the world. Unperturbed by the evils of the modern day, the people of Malana are the ones who guard their cultural with a ferocity that has earned them quite a reputation. The village has its own parliamentary system and has been following its own governance structures independent of the rest of the country. Laying in the shadow of Deotibba and Chanderkhani peaks, it is surely a place that is abundant with natural beauty. You must take a tour of Chanderkhani pass trek to view the natural beauty from the heights. The most interesting fact about the village is that it is an economy that rests almost exclusively on the production and selling of ‘Malana Cream’ a strain of cannabis that is unique and rumored to be the purest ever! The gushes of the Malana River flow by the village, lending it an almost unearthly, ethereal beauty. However, be warned that the villagers are known to be wary of outsiders and do not appreciate or approve of any physical contact or even a conversation in their local language, ‘Kinashi’. The residents are believed to be the direct lineage of Alexander the Great that lends them their unique features and an aura of touch me, not purity!